Robert burke associates is a New York based consulting firm specializing in retail and fashion. we provide services in global and domestic retail development, brand and retail strategy, and qualitative due diligence. RBA creates optimal strategies for new and existing retail developments by working with owners, developers, operators, leasing agents and brand executives from concept development to ongoing operations maintenance. RBA works with domestic and international brands to optimize sales, brand awareness and market penetration. Our unique process helps brands assess their existing businesses and develop a strategy for future growth, both in the U.S. and globally. RBA’s experience within the retail industry and deep understanding of successful brand growth strategies adds significant insight throughout the investment process. RBA minimizes uncertainty and risk by providing due diligence, market research and strategic evaluations to private equity firms, banks and other investors during the pre and post-acquisition of brands, companies and assets within the retail industry. 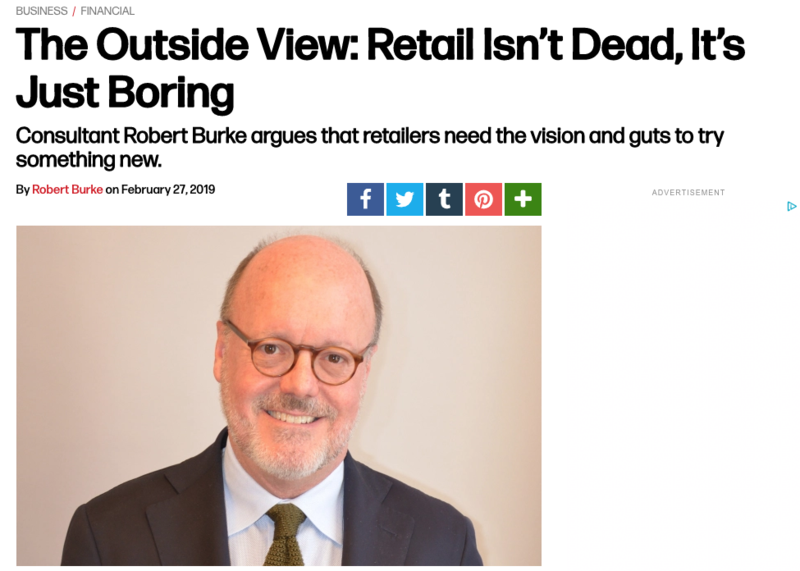 With a diverse range of experience in the retail and fashion industry, the team at Robert Burke Associates is uniquely positioned to address its clients' needs. RBA maintains relationships with top level executives of the world’s major luxury brands, fashion houses and retailers through regular contact and meetings in New York, Paris, London and Milan.